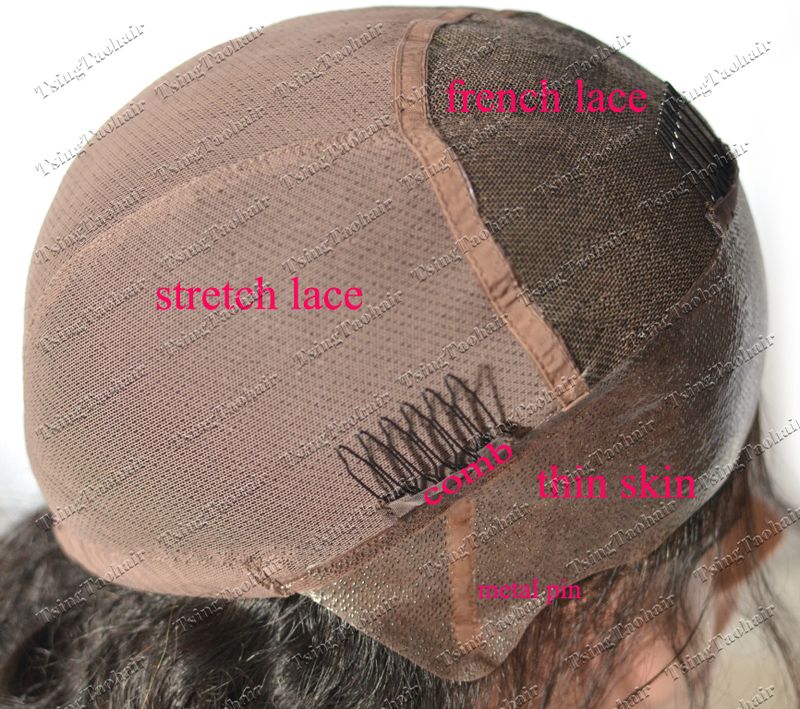 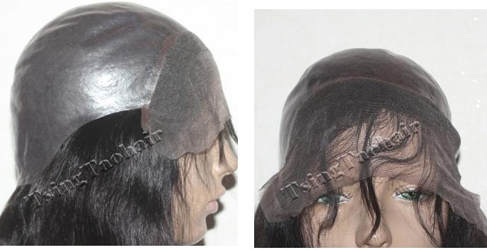 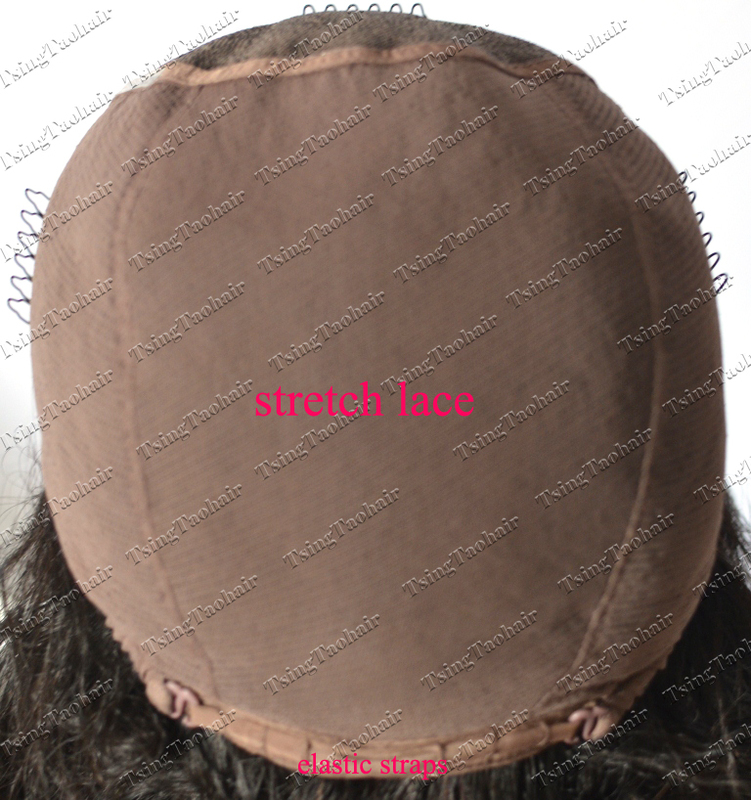 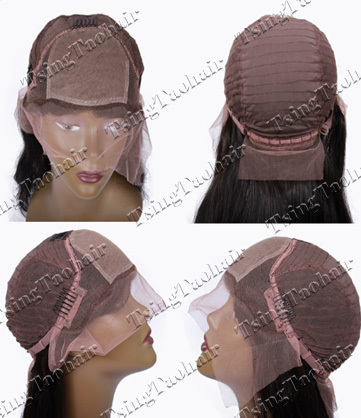 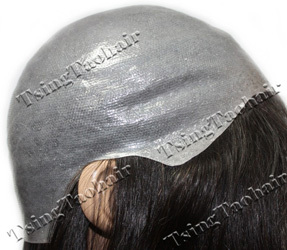 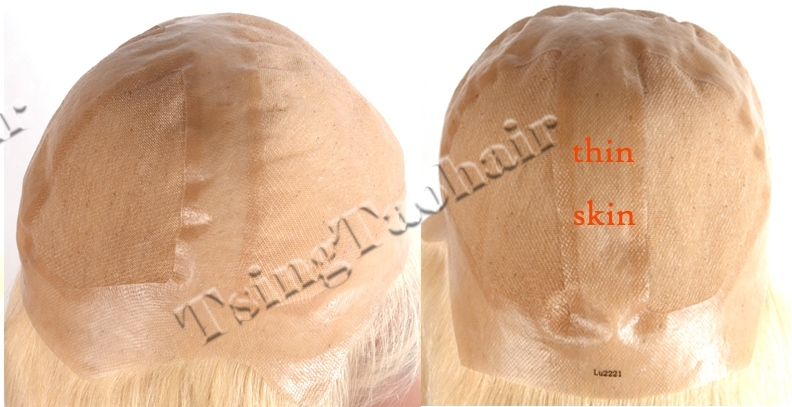 Cap24S: Silky top Glueless Full lace cap, NO NEED OF GLUE OR TAPES! 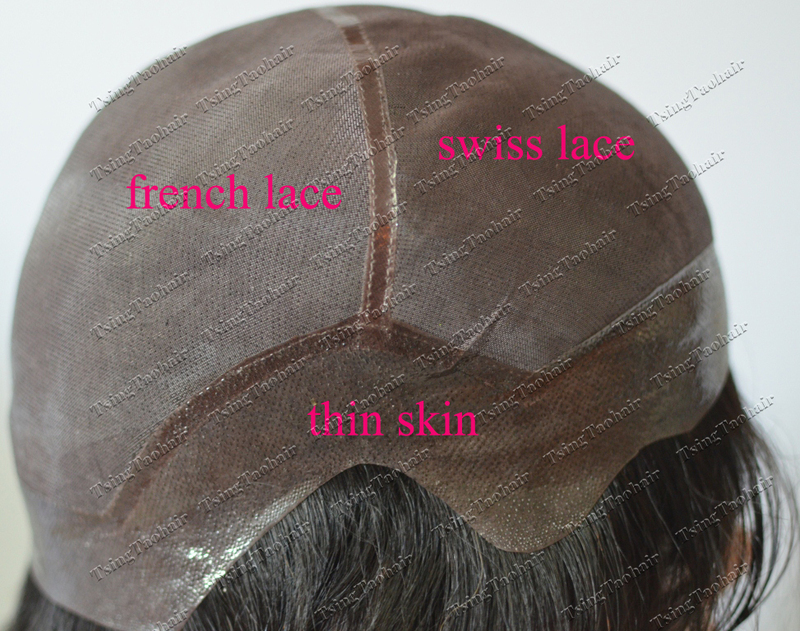 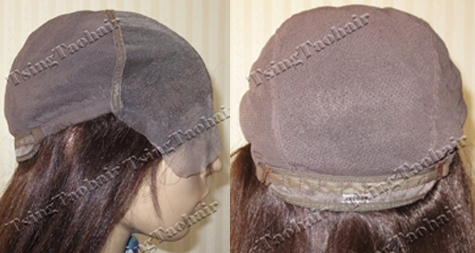 Cap#29T: Thin Skin Glueless Lace Cap. 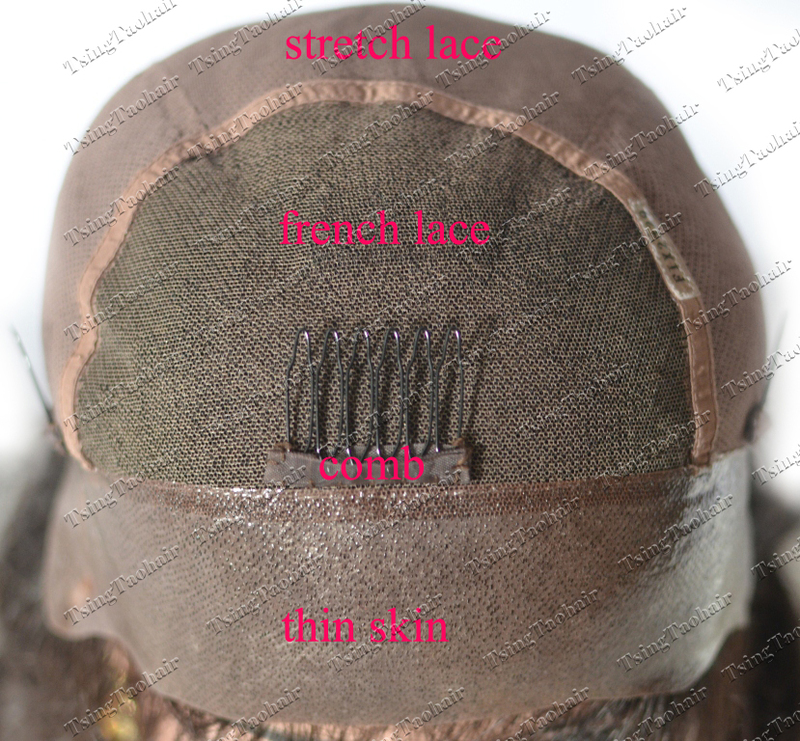 Thin skin in the front and stretch lace at back with elastic tapes and draw strings at nape.